If you like fetes - this is the weekend for you. Crocs, Vinnies Monster Sale, $3 and Bogan Pride DVD, Vinnies Dickson, $4. On a classier note, we picked up this Wedgewood coffee pot in the Pennine design for friends who have collected this pattern for more than 40 years. It was $2 at Salvos Fyshwick Bargain Basement. St Vincent de Paul's at Mitchell - a shopping frenzy! I also got eight CD's, some which are replacements from share house, lending and relationship break up losses, as well as Haruki Murakami's Norwegian Wood, a book I've wanted to read for a long time. I think it has just been made into a movie in Japan. I restrained myself at the book fair. As an elderly ladies voice came over the PA system at EPIC saying, "You can never have too many books..." I thought to myself, I beg to differ! Thanks to the other Jo who replied to the question about Yass, and to TOF who asked around at work. We have two options. One is the site of an old garage which is still going (thanks Jo) and the other is, according to a colleague of TOF's, it is known as Ross's Relics (that is what everybody in the town knows it as, the business name may be something else). It is located just before the Courthouse on the main street Yass. Jo asked a question in the comments. I'm not sure of the answer so thought I'd opening it up to the readership. 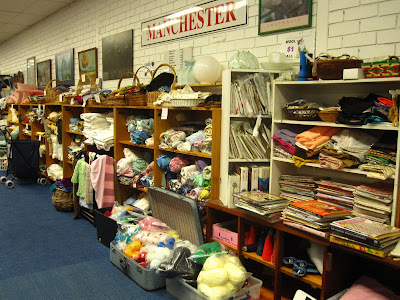 I have been wanting to ask someone for ages - and you might be just the lady - do you know if the large secondhand shop in Yass is still open, the one on the main street? The Third Canberra Harvest Festival is taking place Saturday 26th March, 2010 at the Environment Center car park. There will be produce and goods stalls, community information stalls, workshops, and talks on sustainable agriculture and food issues. 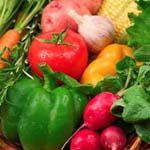 There will also be a ‘best homegrown vegetable' competition with prizes. Entry is free and there will be a free raffle with donated prizes. A barbecue fundraiser will be run by the Environment Center and there will be fresh fruit juice and other beverages for sale. 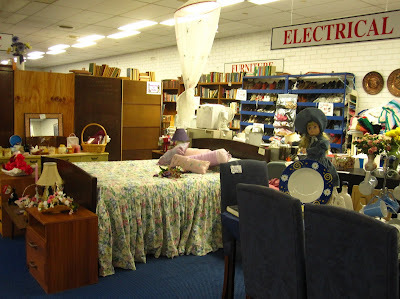 ...head interstate to op shop! Taph and I headed to Goulburn for the first time in far to long to update the I Op listings. And just as well we did: there've been some changes since we last visited. It was only when the front door didn't open and we went round the back that we found some staff and were told they had closed. 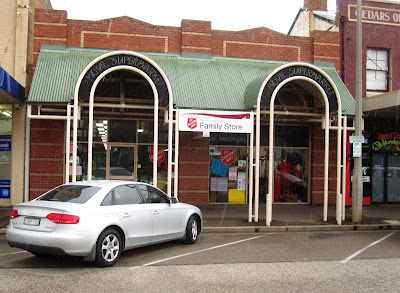 We also discovered that the Salvos that used to be at the back of the arcade has moved: It's now located at 123 Auburn Street: on the other side of the road, at the other end of town. Hours are Monday to Friday 9:30am - 5pm, and Saturday 9:30am - 12:30pm. At the moment they have a special on summer clothing: Ladies or children's summer clothing is $2 a bag. Inside is large and airy, with a good craft/ manchester selection and a number of "rooms" set up with the furniture they had for sale. What we didn't like was the lighting: with only half the lights on it was difficult to see the details of some of the clothing in the centre of the shop. And, although there were many interesting things, they were all marked with the dreaded "NFS". The woman behind the counter explained that they kept the items to make interesting displays. I just found it very frustrating that every time I spotted a treasure from across the shop, on closer inspection, it bore the dreaded "For display only" sign. The prices seemed inconsistent, but on the high side. 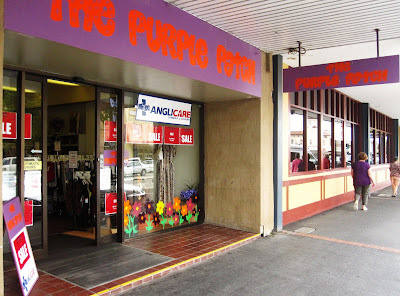 And a newcomer to the scene since we last visted: The Purple Patch, run by Anglicare at 232 Auburn Street. Open Monday - Friday 9:30am - 4:30pm and Saturday 9:30am - 12:30pm, we found this a very inviting shop which sounded good and smelt divine. The wooden floorboards were a lovely touch for a Canberran (as was the beautiful fireplace I spotted behind the large sized clothing rack). And the fact that I managed to grab a bag of three balls of Jo Sharp and Aliseo wool for $5 total and Taph found the cutest black and white spotty sundress for $3 (they have half price on all summer clothing) made us very happy. 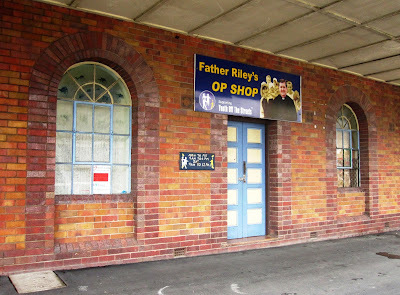 Did you head across the border to op shop today? I have not posted here for a while - I really have not had much luck finding anything I want to 'bring home'. Last weekend at Fash'n'Treasure I picked up this great 1960's dress for $5 - bot sure if I am keen on the high neck - but the fabric is great. I also purchased a Jaeger of London mauve hat. Not that it is something I would normally wear, but my favourite op-shop purchase of all time is an 1960's Jaeger orange wool jacket (picked up circ. 1992 for $5) and I still wear it every winter. In the Salvos at Mitchell I had a bit of an op-shop dilemma - finding a fabulous orange glass vase (the sticker reads Radio Brand Hand Crafted Japan); but the price was more 'antique-shop' than 'op-shop'. The vase came home - it was orange, how could it not come home! I also picked up a old (not-used) Snoopy scrapbook - I am sure it was published before the days scrap-booking became popular. My mum is a collector of all things 'Peanuts', so this will be gifted to her. Oh, it came with a free photo! 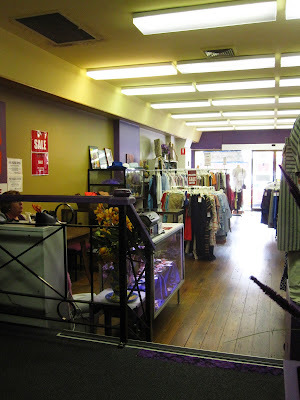 Our final stop was Salvos in Phillip, my only purchase a Vogue pattern. I am trying to limit pattern purchases to vintage or 'by designer' patterns. Peas and Needles recently blogged about a challenge for 2011 and I thought I Op members might like to join in. 1. Your outfit must comprise of a key-garment from a charity shop plus any other pieces/accessories etc to make up an 'ensemble'. 2. Annotate your outfit. 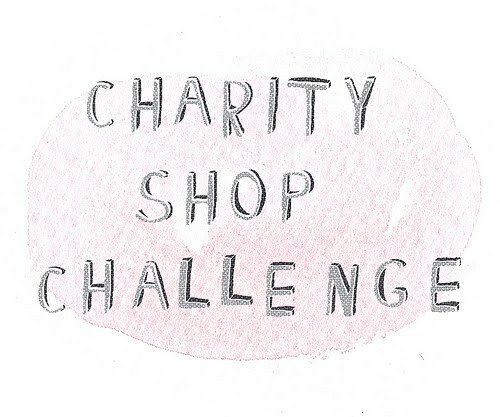 Include a description of the garments/ where you bought or found each piece/ price of charity find. 3. Upload your image onto your blog (and/ or I Op) by the last Friday of each month. 5. 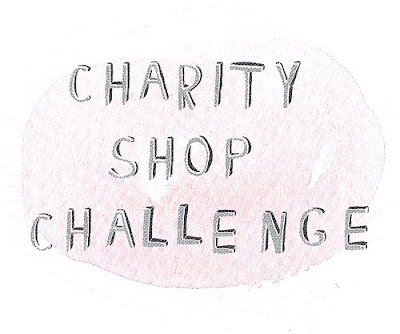 Extra credit for those who customise their charity shop find.Why not join in!!! You can also join the Flickr group here. " What do you reckon? Should we set up an Aussie team? Re-Loved Creations is a not for profit, co-operative venture started in 2009 by mother and daughter team Hanny and Lee Dewar. 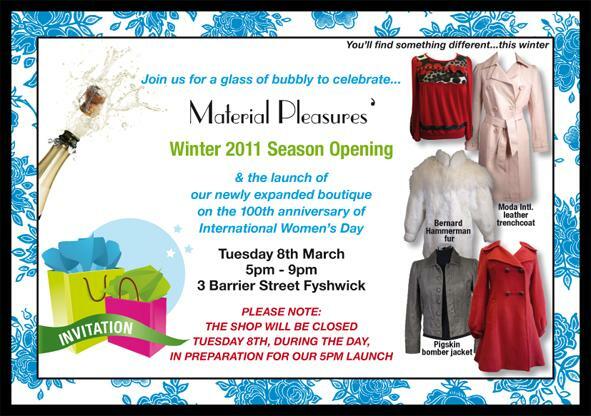 For YOU ARE HERE, Re-Loved will be taking over ...a vacant shopfront and transforming it into a fashion mecca. The space will be used as a studio throughout the Canberra Festival, where designers will create and sell new garments in a co-operative pop-up shop. Designers participating in the event include; Lisa Barrett, Tamara Russell and Hanny Dewar’s own label, Hanny-d Creations. Under the label Tango & James, Lisa produces accessories, clothing and even furniture updated with her own fabric designs. Tamara Russell is a textile artist who uses recycled materials and free needle machine embroidery to create painterly textile designs. You too can promote the importance of sustainable fashion by bringing along your unwanted clothing to Re-loved Creations Clothes Swap on Sunday March 20.
completely lifted from Fash 'n' Treasure. I'll be sorting out some suitable work wear tonight for this and particularly encourage my ample-sized sisters to do the same. I wish there was something like this a couple of years back when I got rid of all my suits . I'm reading great things about Saturday's Fash 'n' Treasure Market. There are reports and reviews on Rummage (many thanks for nod last week, btw), Misfits Vintage and HerCanberra. 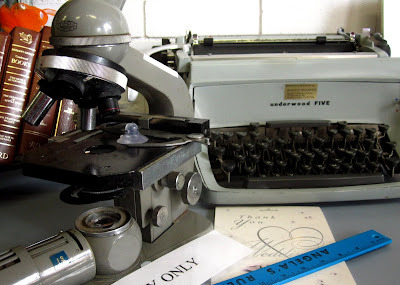 Any of our correspondents find just the divine thing they were looking for? They don't have a White Elephant stall listed as an attraction, but it might we worth a look if you're South side. Wow, it's a bonanza weekend and I've got to work all day Saturday. Let me know how you go so I can bargain hunt vicariously.